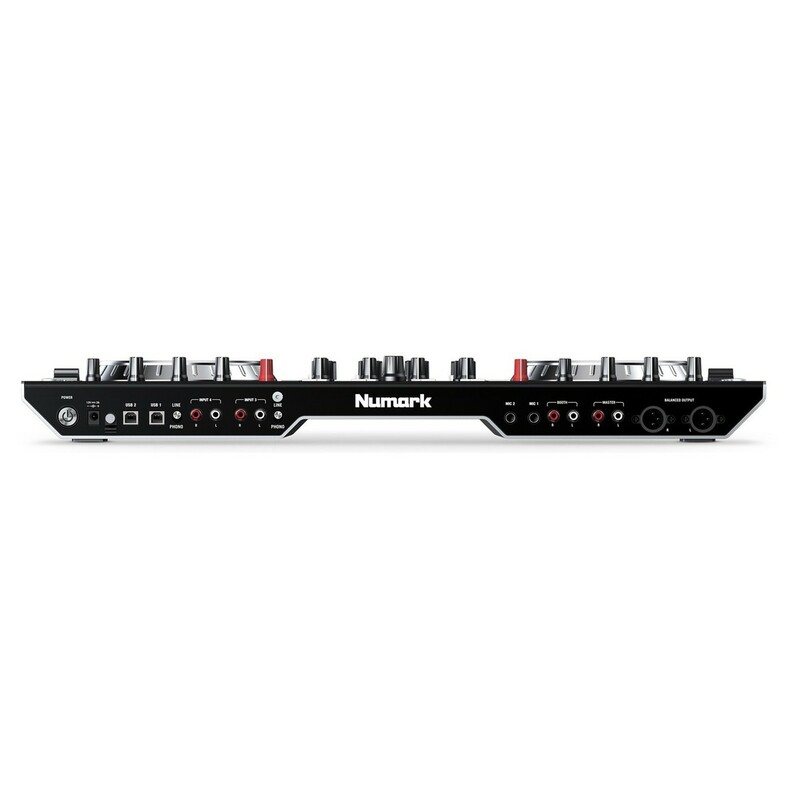 The Numark NS6II 4-Channel DJ Controller is a professional DJ controller featuring 6-inch multi-function jog wheels with integrated LCD displays. The Numark NS6II DJ Controller is ideal for any professional DJ featuring a built-in digital mixer and touch-capacitive knobs, all arranged in a highly intuitive layout. 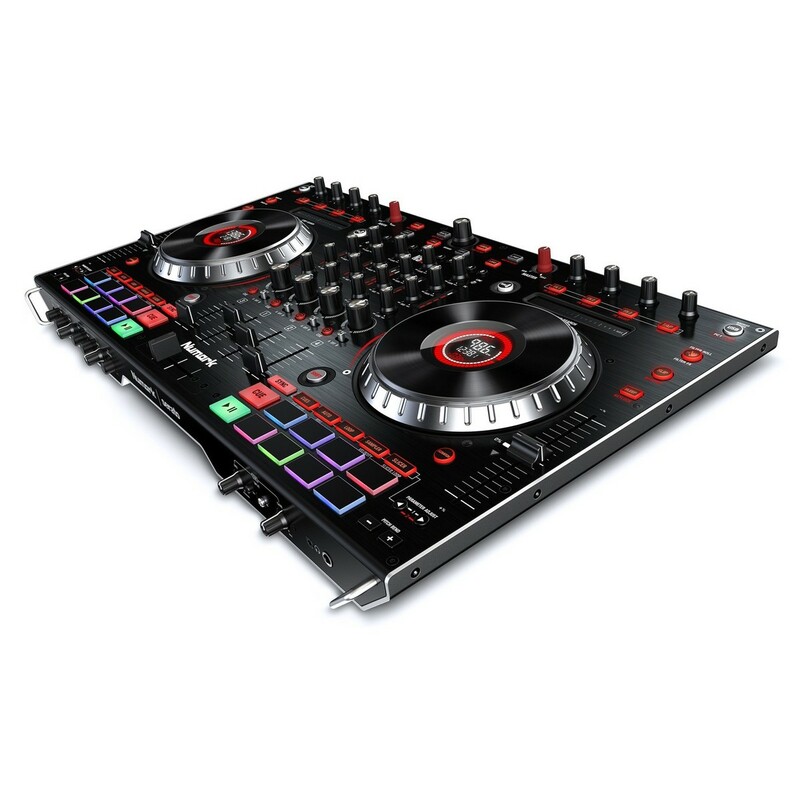 The 4-channel configuration features built-in USB audio allowing you to connect the NS6II DJ Controller directly to your computer. Each deck features eight performance pads for trigger loops, cues, one-shots and more. The 4 in/4 out configuration features 2 phono preamps built-in as well as dual 1/4'' microphone inputs for hosting and more. 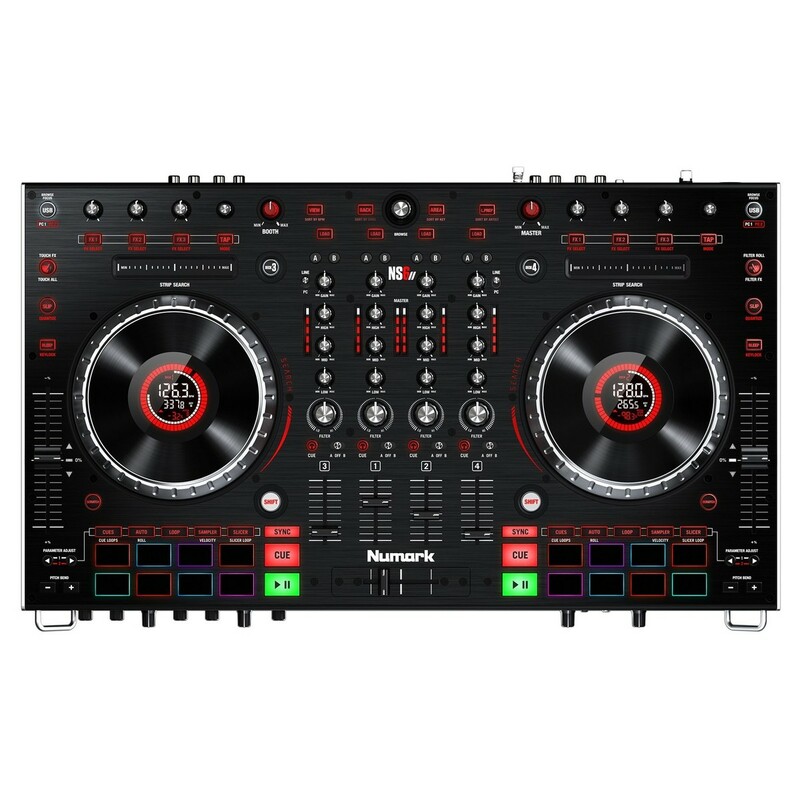 Additionally, the Numark NS6II comes complete with a full copy of Serato DJ to get you started straight out of the box. The Numark NS6II 4-Channel DJ Controller is an advanced digital DJ controller featuring built-in USB audio and a range of new technology. Building on the success of the original NS6, the MK2 features a new 4-channel configuration featuring two USB outputs and high-resolution audio. The dual USB outputs allow you to connect to two laptops simultaneously, making back to back sets easier than ever before. At the touch of a button, you and your fellow DJ can switch between two laptops and play at the same time between the four channels. The touch-capacitive knobs allow you to make precise changes to your controls, as well as including a replaceable crossfader for more seasoned DJs. One of the most prominent features of the NS6II DJ Controller is the dual 6-inch multi-function jog wheels. These intuitive jog wheels feature smart learning capacitive technology, catering to your own unique style for precise movement and feel. The centre of the jog wheels feature built-in high-resolution display, providing you with vital information about your media and controller. The full-colour, 2-inch, hi-res displays allow you to monitor BPM, platter position, pitch adjustment, time remaining and more. This keeps you informed every step of the way, allowing you to easily check the next song in your playlist and monitor playing information at a glance. Expanding on the dual USB outs, the NS6II features a built-in mixer that can be used as a stand-alone unit to connect to turntables and external media devices. This unique features allows you to use your mixer with a range of other devices, allowing you to connect two media devices via the RCA line/phone inputs and switch between them with ease. The mixer itself features a three band-EQ section that allows you to adjust the mid, low and high frequencies, creating seamless transitions between mixes. The audiophile –grade circuitry ensures optimal audio quality thanks to the 24-bit sample rate. In addition to the jog wheels and USB audio mixer, the NS6II features a range of performance controls as well as the touch capacitive knobs. 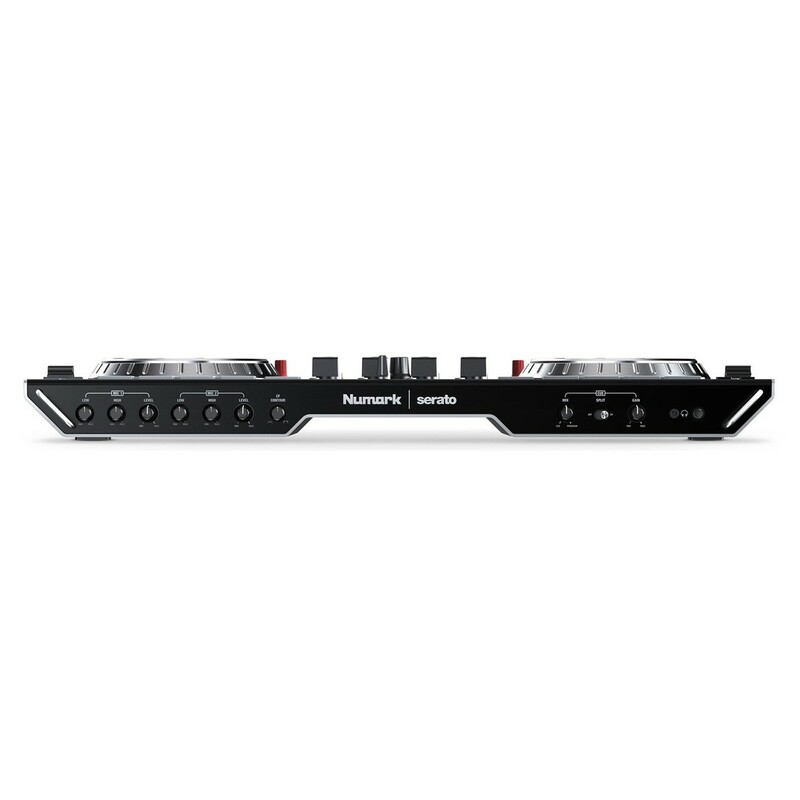 The built-in 100mm pitch faders gives you full control over the 4-channels. The built-in display allows you to keep an eye on the pitch without having to look at your laptop. The smooth and resistant long pitch fader is highly responsive and built-to-last, ideal for creating seamless blends between tracks. Eight rubber MPC performance style pads are included on each side of the controller, giving you access to cues, rolls, sampler, slicer and more. The 16-velocity sensitive pads allow you to do everything from set cue points to trigger one-shot samples, ideal for adding extra flare to your mixing capabilities. You can also use these pads to active manual loop mode for endless creative possibilities, allowing you to take your set to the new level. Additionally, the NS6II comes complete with a full copy of Serato DJ, allowing you to get started straight out of the box.